Text communication in Grid 3 empowers literate users to communicate more quickly and more accurately than ever. 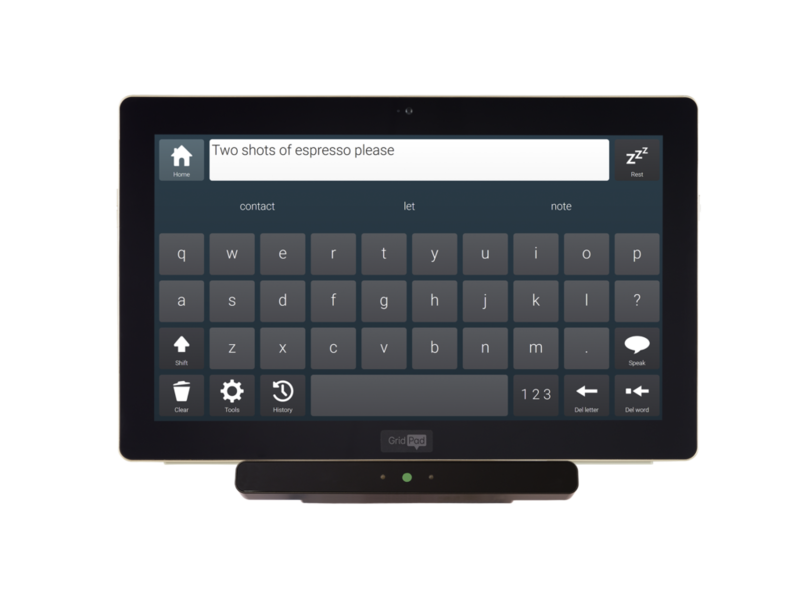 There are a range of keyboard designs to choose from and a range of features that use innovative new technology to create a more natural user experience. Text communication in Grid 3 has ground-breaking tools to make it faster than ever to get your message across. 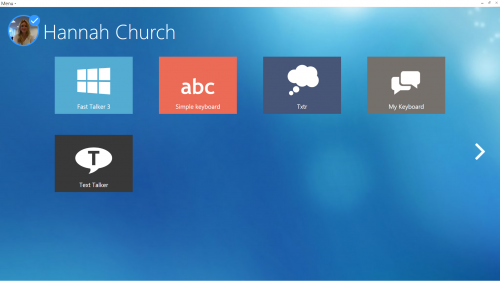 Our beautifully designed range of keyboards are easy to use with any type of alternative access. One of the most exciting new features is Chat History. This patented technology enables Grid 3 to remember everything you ever say, so you can say it again in an instant. There are over 5,000 messages pre-programmed and ready to speak aloud. These messages are presented based on how often you say something and where you are. What you say depends on who you are talking to and where you are. 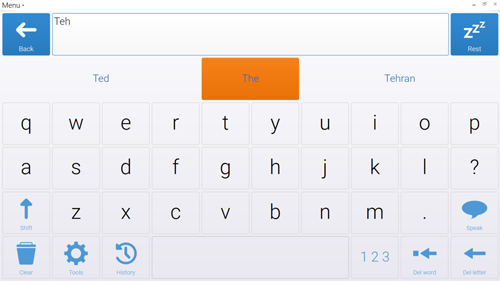 Grid 3 uses your location to suggest phrases, so you can quickly ask for coffee as soon as you enter the coffee shop. 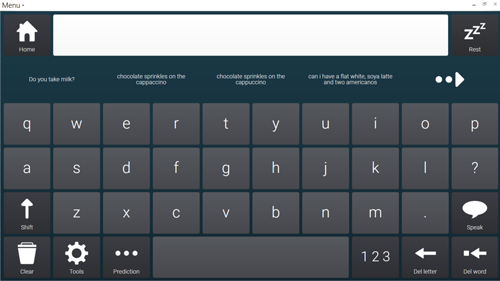 Grid 3 now uses SwiftKey prediction to increase speed and accuracy. 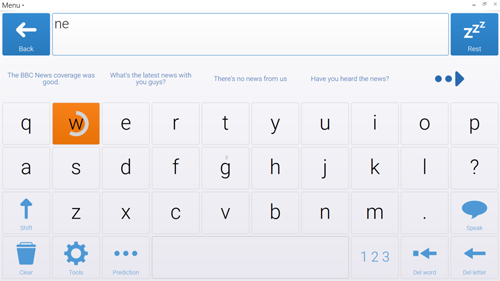 Don’t worry if you misspell or mistype a word, just keep writing and Grid 3 can still predict what you want to say. 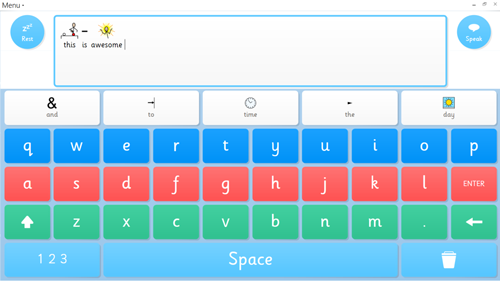 We understand that no single solution is suitable for everyone, so we have created a range of keyboards that work with different access types and different levels of literacy. The Fast Talker 3 grid set is included with Grid 3 and provides our most powerful tools for text-based communication alongside accessible apps for Facebook, Twitter, SMS and much more.